Wood is an amazing material: the tree when growing usually has a rough irregular bark and when a branch is snapped or it splits from the tree, the core is fibrous and tough or sharp and jagged but when the timber is cut with a sharp saw and planed, shaped and sanded it becomes incredibly smooth and tactile … more so if the carpenter or cabinet maker knows how to work with the natural grain, the irregular growth patterns of the tree, and particularly if the finished work is waxed or soaped. It was those qualities of the material that Hans Wegner worked with and tried to express or enhance in the furniture he designed. He was primarily a designer but he was also an incredibly accomplished carpenter and cabinet maker so he understood completely the material he was working with, exploiting the inherent qualities of the material, and that shows clearly in all his work. His interest was in form and construction … he rarely used carving for decoration and where the timber was turned, for instance for legs or the spindles of a chair back they were rarely given more than an elegant tapering from the thickest part where a cross rail had to be morticed in but reducing down to the foot - rarely a knop or a ring or a band. At most, the tops of legs or the posts of chair backs are simply rounded but can just as well be left flat. 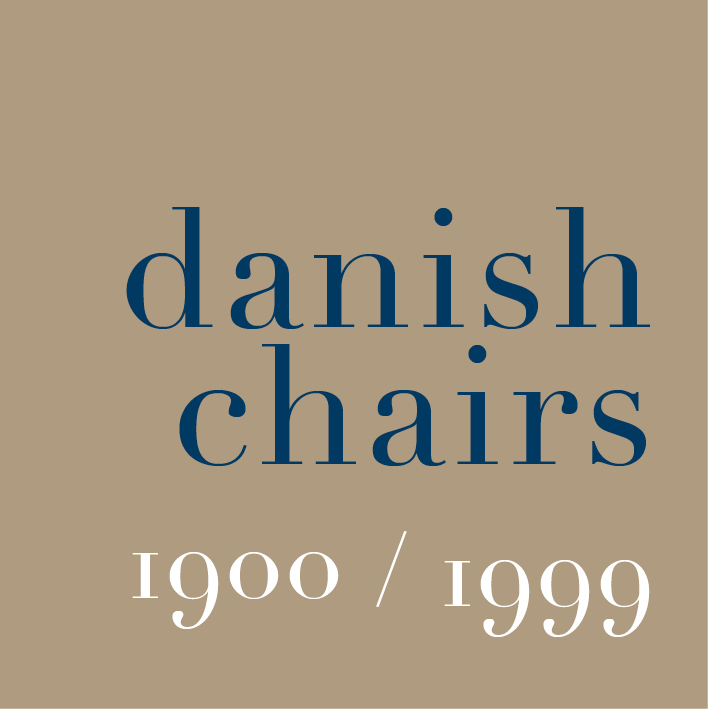 However, where Wegner introduced texture and pattern in his chairs was through the use of cane and paper cord for the seat and, slightly less often, for the backs. And occasionally he used webbing and natural coloured rope. The appeal of these natural materials was that they were, just that, natural and they were part of an established chair-making tradition for country or vernacular pieces - Wegner didn’t design furniture that was deliberately rustic and certainly his furniture was never crudely or roughly made but he appreciated well-established craft skills. To weave a good seat takes considerable skill and time. It is significant that Wegner never used the pre-woven bamboo that came on a roll and was held into a channel in the seat - the type of cane used by Marcel Breuer in the B32 Chair from Thonet that was produced from the late 1920s onwards. There the cane forms a regular and rather flat honeycomb pattern. For Wegner, the way that the cane or paper cord was woven and the pattern that was formed was inseparably related to the form and arrangement of the frame. In some chairs the cord wraps over the seat frame hiding it completely except at the corners where the seat frame is housed into the legs. This is the form of seat used on the Y or Wishbone Chair and is distinct because it creates a relatively full or thick seat, contributing to the comfort, and the seat has the diagonal pattern, when you look down on it, that is like the back of an envelope even if it would be a rather over full envelope. A similar technique of wrapping over the side frame but working straight across the seat from side to side and then from front to back going over and under pairs or triple lines of cord going the other way creates a classic basket weave pattern. In other chairs the seat or back is woven through holes in the frame but more frequently the weaving is held in slots through the side of the seat frame or through the side of the back posts - usually formed by joining together two separate pieces with a narrow gap between them. The pattern of the weaving has to reflect where the slots have to start and end as determined by either the form of the chair or simply the necessity to keep slots relatively short because they weaken the strength of the frame. My suspicion is that Wegner enjoyed the challenge this created in balancing form, structural detail and potential pattern without compromising any element. And of course the seat and back had to be comfortable and strong enough for day to day use. Split cane, rope, paper cord and canvas webbing all give a soft tone and texture to the seat and back of chairs that is clearly very different from the starker harder character of seats in solid wood, plywood or plain upholstery or leather. The Peacock Chair from 1947 - note that the side and front rails of the seat are recessed where the cord runs over so that the top of the cord is level with the upper face of the frame. The cord is taken over the front and over the first part of the side rail but around the rest of the frame the cord is held in a slot in the frame. Round Chair from 1949 - here with cane also wound around the back bar. Note that the space around the edge of the seat is created to deal with the uprights but is made into a distinct feature ... the canes are paired but spaced by doing an extra twist around the frame between them and by crossing them over before returning back across the seat.